When it comes to persuasion, success can begin before you say a word. 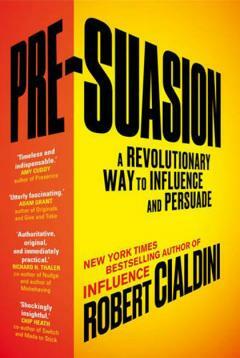 In his global bestseller Influence, Professor Robert Cialdini transformed the way we think about the craft of persuasion. Now he offers revelatory new insights into the art of winning people over: it isn’t just what we say or how we say it that counts, but also what goes on in the moments before we speak. This is the world of ‘pre-suasion’, where subtle turns of phrase, seemingly insignificant visual cues, and apparently unimportant details of location can prime people to say ‘yes’ even before they are asked. And as Cialdini reveals, it’s a world you can master. If you understand the tools of pre-suasion, you will better placed to win a debate, get support for an idea or cause, promote a campaign – even persuade yourself to do something you find difficult. 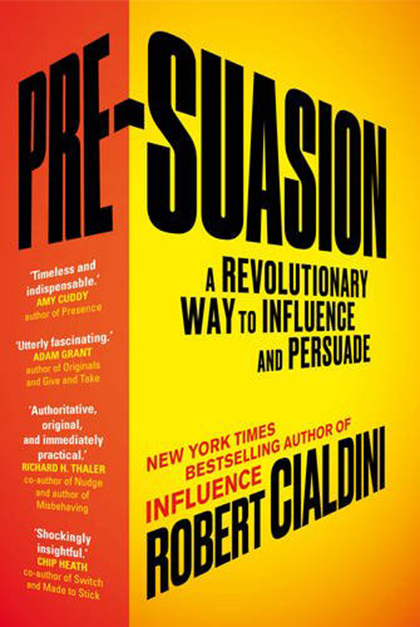 Drawing on the latest research, and packed with fascinating case studies, Pre-Suasion is a masterclass in enhancing your powers of influence.